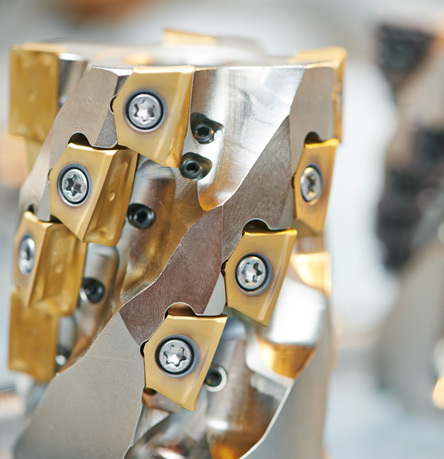 The specialist Numill service for cutting tool repair provides accurate pocket remanufacture giving the customer 100% benefit whilst offering savings of up to 70% compared to the cost of a new tool. Non-distorting, high strength weld deposit is used with a final heat treatment to 45-50 Rockwell ‘C’ to ensure the repairs will withstand deformation, damage & premature failure. Inspection is carried out using a range of calibrated measuring equipment and tool presetters.